One of my favourite budget brands Essence has a great trend edition for us this January and runs until mid February, right up to Valentines Day. The kissable colours mainly consist of pink, purple and red with a couple of nudes thrown in for good measure. There are couple must haves in the collection. The lip smoother, €2.49, is perfect to get your pucker ready for the season of kissing and the two-tone blushes, €4.09 are so cute which are heart embossed. Hopelessly in love… the lipsticks in apricot, pink and bright red keeps the focus on beautiful lips. The high-shine finish offers glossy results and long-lasting moisture. Available in 01 nothing but lovestoned, 02 pink me and 03 keep calm and kiss me and will only set you back €2.89. These are perfect for trying out bolder new colours. 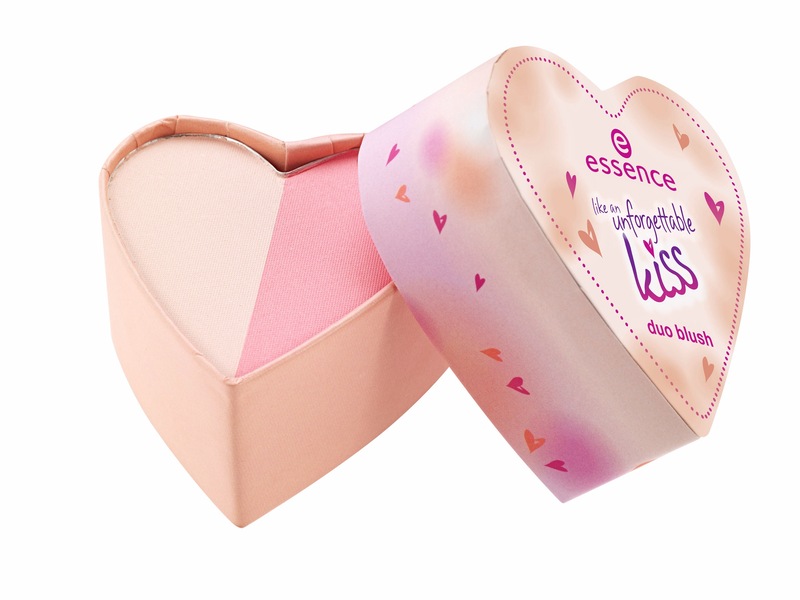 essence “like an unforgettable kiss” will be available in stores from January until mid -February 2015 or until stock runs out! The packaging is adorable but I’ve always had bad luck with the essence brand. I know Forever 21 has a similar blush, I’ll probably get it from there.